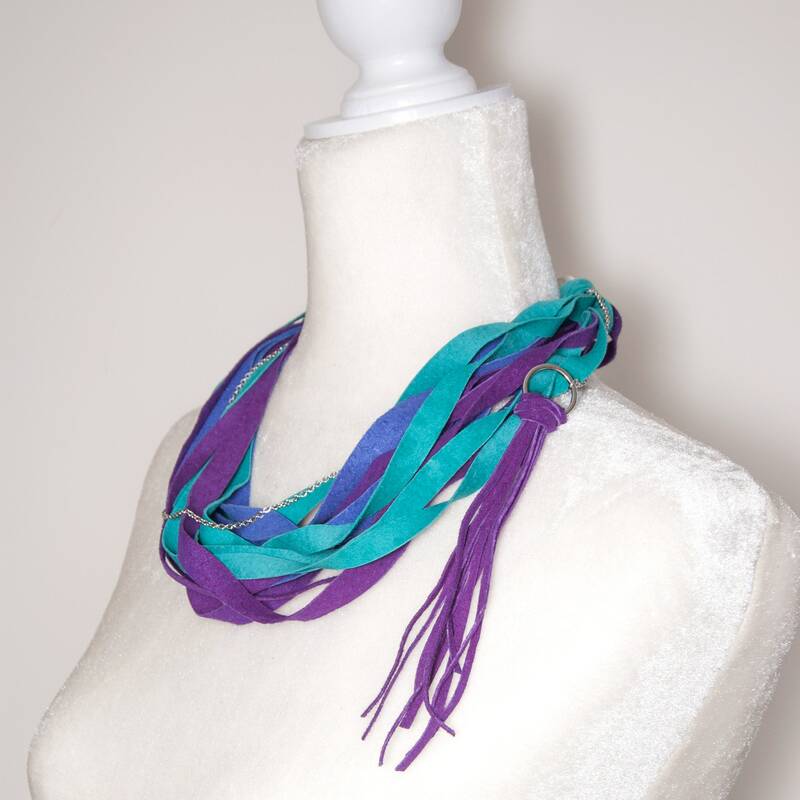 A wonderful multistrand necklace. Like others from the same collection, it was handcrafted using finest leather materials. The combination of these three colors goes well with many clothing combinations, both casual and not. 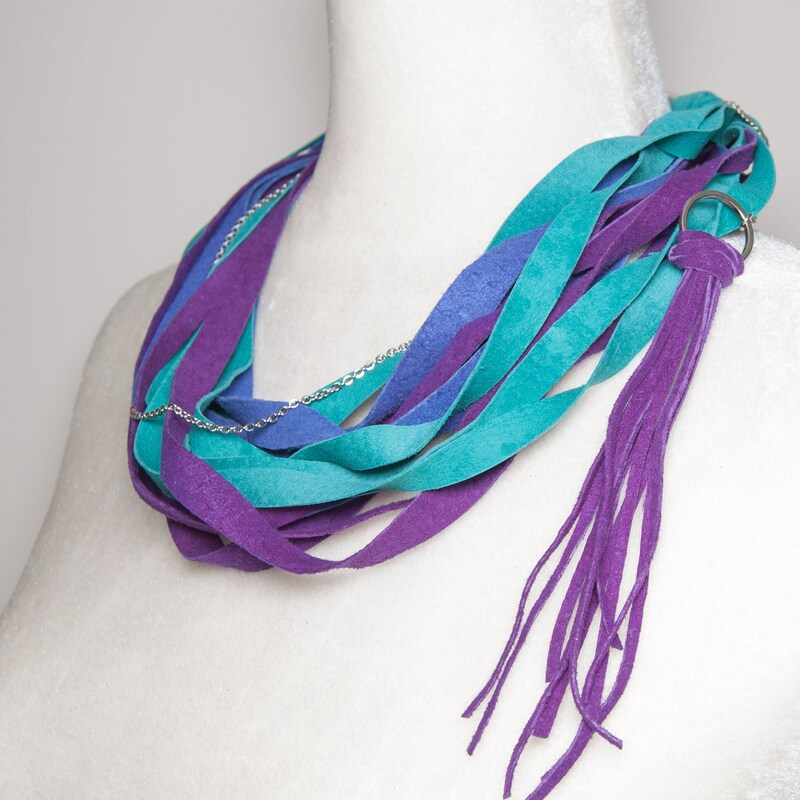 Side hanging pendant is a great touch and adds to the overall unique feel of this scarf necklace.